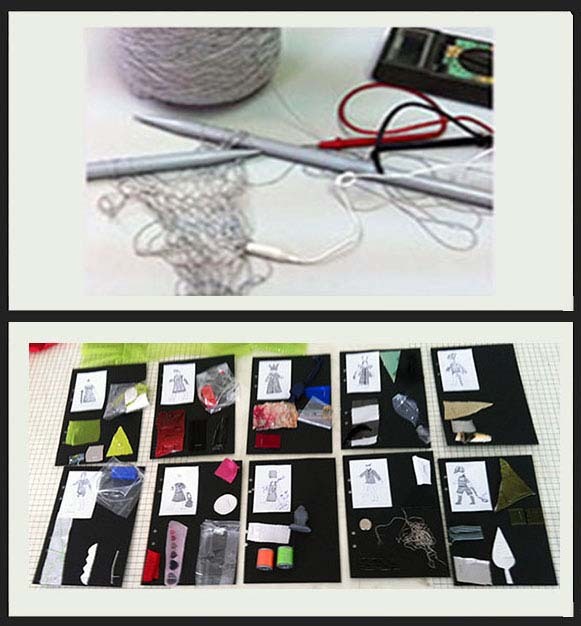 How can we design intuitive interaction between material and the body? We take a closer look at garments in relation to our clothing behavior. Wearing a glove includes natural hand behavior. Gestures such as bending, closing and opening the fingers and handpalm are common. 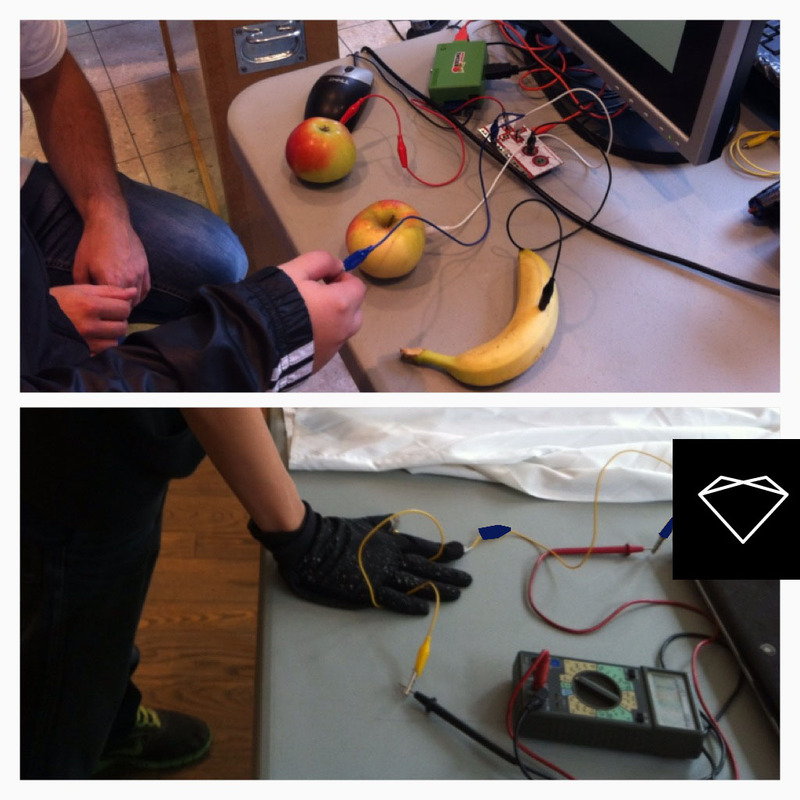 And we display fruits with crocodiles connected to a multimeter on one side and a black textile glove with an integrated pressure sensor connected to a multimeter on the other side of the same table. We then ask children if they uderstand how to behave, interact and explore both materials. Without explanation all visitors know intuitively how to get the pressure sensor to work. (wear the glove and press the handpalm on the table). In our second glove we look at the material of the sensor; a conductive wool yarn changes properties when it is released and stretched. 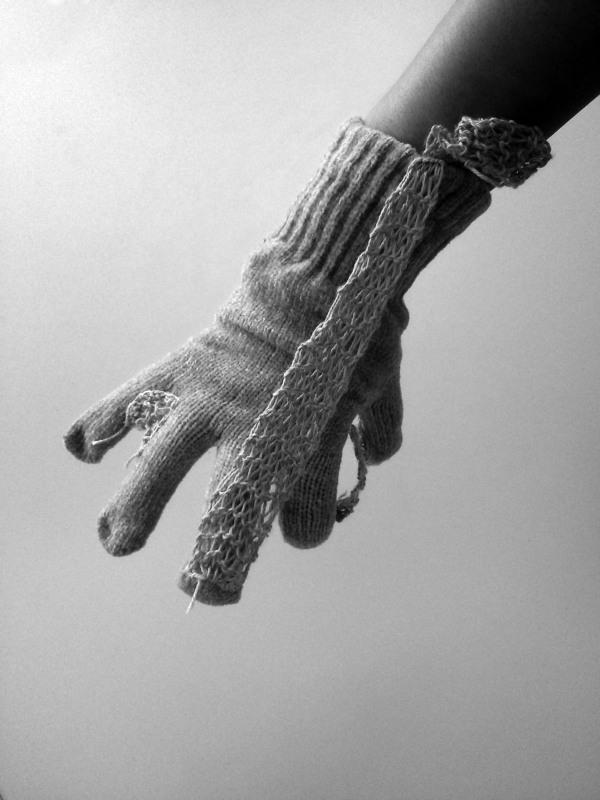 Handknitted stripes of conductive yarns are placed on a glove accoarding to natural handgestures (index finger, between thumb and index finger) and accoarding to the function of the conductive knitted stretch sensor (only meausers in a horizontal line) which means that the craftsmanship of a material becomes the function and that we intuitively understand the interaction not the material.